Three Rock Writers’ Resort announces the opening of applications for its 2019 residencies. Situated in one of the most magnificent places of Greece at the south coast of Crete island, Three Rock in collaboration with Strange Days Books publishing offers a two-weeks low cost (or no cost at all) stay especially for writers. Full stipend will be offered to one project and half stipends (discount 50% from the regular cost) to 20 other projects. 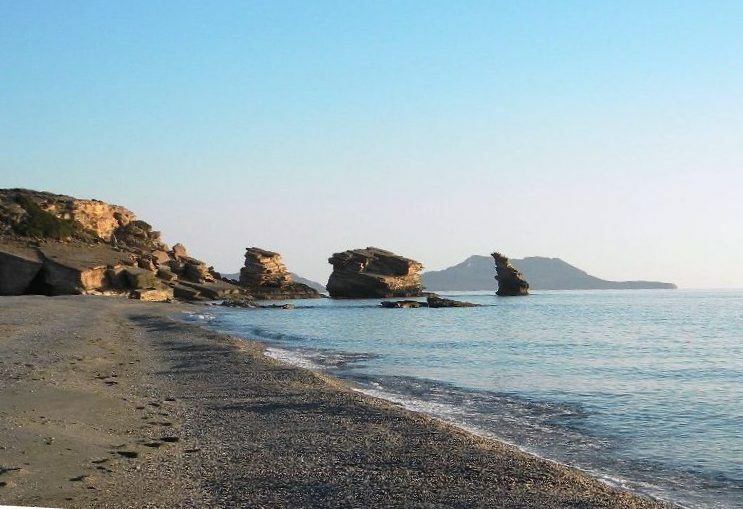 Three Rock Writers’ Resort Residency is a self-directed program that offers time and space for writers to work on a creative project of their choice and above all an extraordinary opportunity to enjoy life on Crete. Writers in all creative writing genres are invited to apply. Novels, plays, short stories, poetry, graphic novel, everything is eligible. Our residency is designed for emerging and established writers seeking to dedicate a period of time to a project in any genre. All you have to do is fill in the form and send the details of your writing project. We will choose only 20 submissions for one or two-week stay with the minimum cost in the period you prefer (Three Rock Resort available for the months April/May/June /October /November) and we also offer one prize for an entirely free one-week stay! There is even more! Writers who will be accepted can submit their text to Strange Days Books publishing for a chance to win a publication contract! SDB will publish one book per year from writers who follow and complete the Three Rock Resort Residency. copy and paste it in the body of your email. - A 200-word writer’s biography and a 300-word summary of the proposed project. We cannot return any printed material sent to us therefore please do not send original material. All submitted material is treated as confidential. Writers will be notified in case we need more details about their project. Payment -at the latest- 10 days before your arrival date via paypal. There are several places to visit in a relatively short distance: picturesque villages, beaches and mountains suitable for hiking, with many endemic plants. Bear in mind though, that Triopetra beach itself has many places to explore. Most visitors prefer the central part (with umbrellas), others go on the east side (on the rocks and cave) but we also advise you to visit the west side where a series of small rocks protect you even when strong south winds blow. Very close to Three-Rock studio, just fifty meters away, you can reach Akoumianos river -with enough water in the winter but not so much in the summer; it is nevertheless an enjoyable hike. But perhaps the most memorable attraction is the beach at sunset, which you will definitely want to see again and again. Just the perfect place for writers! Strange Days Books is a cooperative publishing organization based in Crete, Greece. We publish books of young (or not so young) writers from Greece but we also publish books from writers around the world. Strange Days books & eyelands.gr coordinate every year since 2012 the only one international short story contest based in Greece. We publish low cost digital editions; our books will be distributed mainly from the internet but also from bookstores and cooperative bookshops. Some of our publications are already available in kindle format from amazon.com and e-book from smashwords.com. Strange Days Books also publish books of foreign authors -first release - directly in English. Eyelands.gr literary magazine in collaboration with Strange Days Books organize an annual international short story competition, which is the only international short story contest based in Greece. Every year, writers from all the continents of the world participate in it. The competition consists of two categories; Greek and International (for the international section we only accept stories in English). The competition has been running continuously for the past eight years, offering hundreds of writers the opportunity to see their short story printed in one of our collections, created through the contest entries. For many of these writers it is the first time that a story of theirs is printed in a book or featured online. The jury reads all submissions blind. EYELANDS BOOK AWARDS: This year we decided to launch a new contest, Eyelands Book Awards, an international contest that gives the opportunity to a writer to win a great prize; a holiday in Athens, Greece, where he/she will have the chance to talk about his/her work to Greek readers and meet Greek writers in a special ceremony. This is the grand prize for writers who have already published their book. But there’s more. Eyelands Book Awards also gives the opportunity to an unpublished writer to win a contract and see her/his book published from Strange Days Books. There are also prizes for the winners of the three different categories, as well as nominations of five writers per category. Join us next year! Send us your submission and win the grand prize, visit Athens or see your book published! New release: the LUGGAGE collection!